"Hotel Impossible" host Anthony Melchiorri (center) gestures during the filming of an episode at the Charles Inn in Bangor. 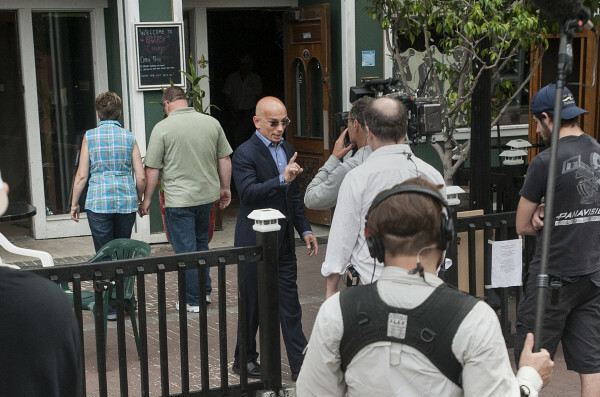 "Hotel Impossible" host Anthony Melchiorri (center) during the filming of an episode at the Charles Inn in Bangor. 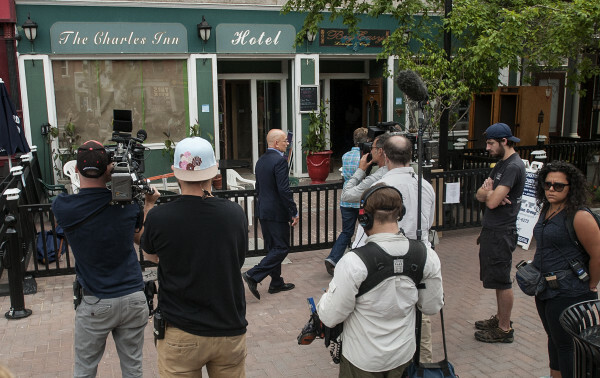 BANGOR, Maine — Expect plenty of drama when reality television show “Hotel Impossible” eventually broadcasts what happened inside The Charles Inn during filming and renovations at the historic downtown hotel this week. As a result of the reality TV show’s presence, the Big Easy Lounge — a bar owned by Paul Beaulieu in the hotel’s lobby — was ousted from the building, he said. Beaulieu publicly announced Thursday on the business’s Facebook page that the Big Easy had shut down. He later said the changes proposed by the TV show led to the end of his business. The Travel Channel show features veteran hotelier Anthony Melchiorri, who tries to turn around struggling hotels by overhauling their appearance and operations. Filming started in Bangor early this week. Built in 1873, the building has 30 rooms, an art gallery and — until recently — a bar. Converted to a hotel in the early 1980s, it previously was the home of Viner’s Music. Producers set up a “site visit” with reporters Friday morning, which would have included interviews with owners and Melchiorri. Producers later called off the visit without explanation after it was scheduled to start and continued filming inside. When asked for comment on the Big Easy situation, producers said Melchiorri would answer questions closer to the show’s premiere. Those behind the show have given few details about what sort of renovation work has been done or what changes were being implemented at the inn. They say more information would be shared closer to the episode’s air date, which has yet to be determined. He said he plans to start a new business, Norumbega Tap House, in another downtown Bangor storefront. He has a potential location picked out but was not prepared to reveal it Friday. He hopes to open by September. A message requesting comment from Boivin, owner of the Charles Inn, was not immediately returned Friday morning.